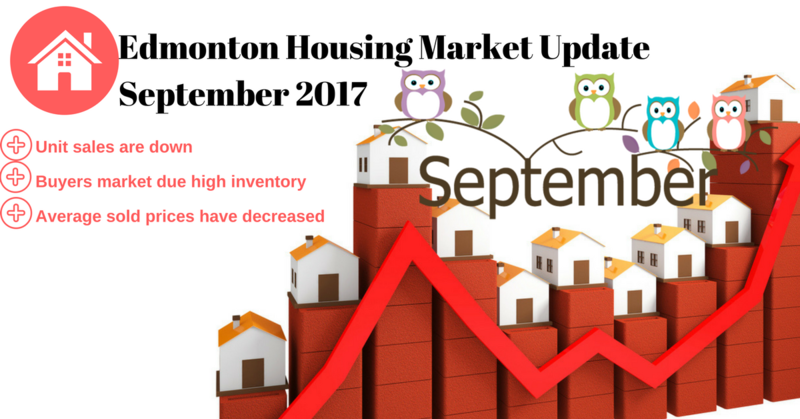 Using the numbers from October, we are experiencing higher inventory which increase the days to sell. But, we see home values are up 1.72% compared to last year because more people are purchasing homes in the luxury markets to take advantage of lower prices and decent mortgage rates. 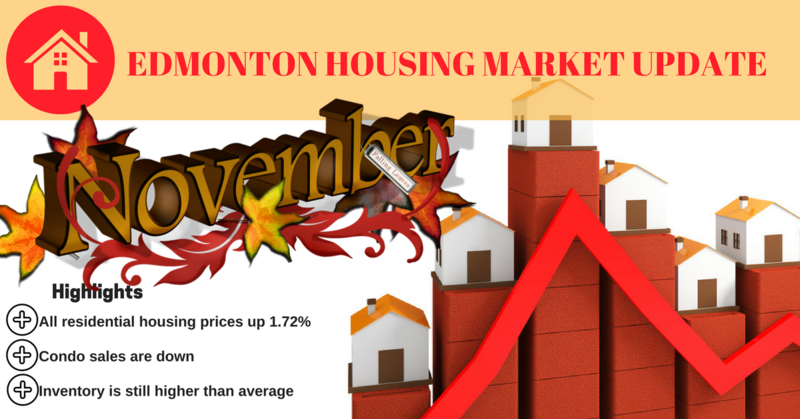 Edmonton is continuing to have steady sale values but the amount of people who are still buying have decreased by 13% which can be explained by the change in mortgage rates. Condominiums however, have increased in sale price compared to 2016. How's the real estate housing market right now? This is the most common question in real estate in Edmonton, Alberta. Right now, the housing market always tends to cool down in July and August since this is the most statistical time for summer vacations. However, the average sold price for all residential homes is almost identical to last year. This is a good sign to show our market could be stabilizing and beginning a recovery into the next year for great improvements. 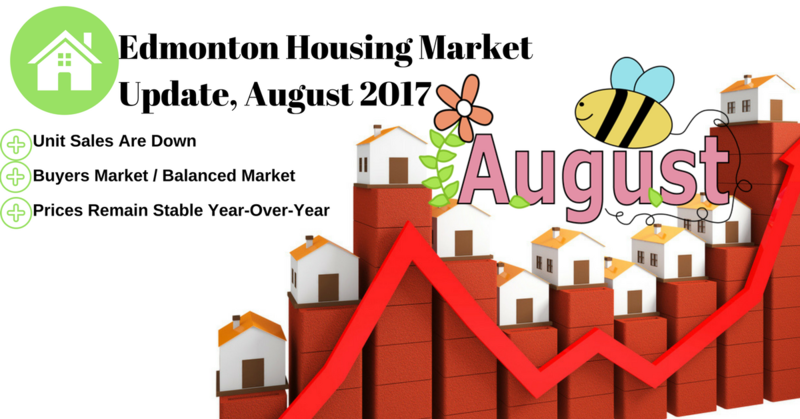 How's the Edmonton real estate right now? Is it good to sell or buy? 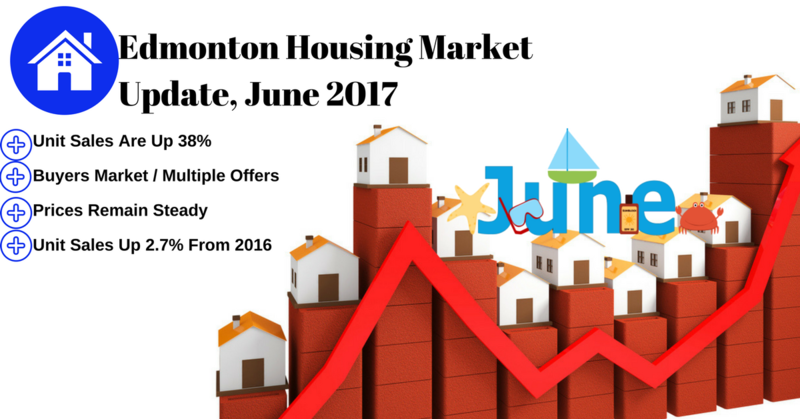 Edmonton's housing market still remains to be a buyers market which means there is more inventory of homes for sale then those who are buying. However, we're seeing homes selling much faster especially if they are above average condition and price well. We do find some areas are considered a "Sellers Market"This shows very good signs of real estate going into the right direction for recovery but May and June are typically more active then other periods in the year. Its still a good time to buy since there are lower prices compared to the real estate peak in 2014. The good listings sell fast. Foreclosures and homes with basement suites have also picked up a lot of interest in the market. 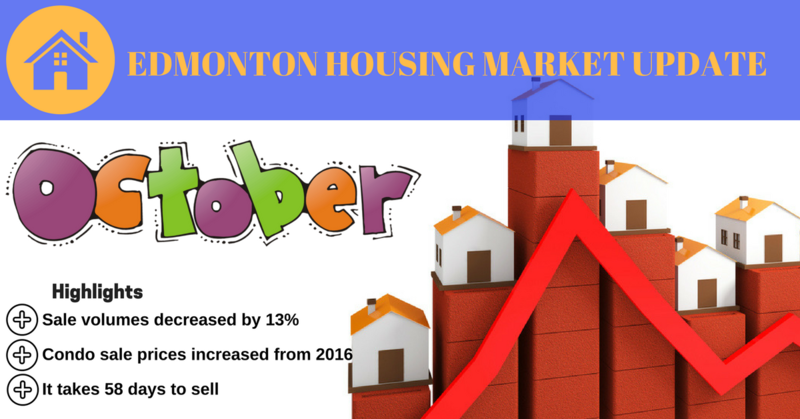 Its a great time to sell your home in high desired areas like St. Albert, Sherwood Park, and neighbourhoods in Edmonton like Twin Brooks, Schonsee, Blue Quil, and others. 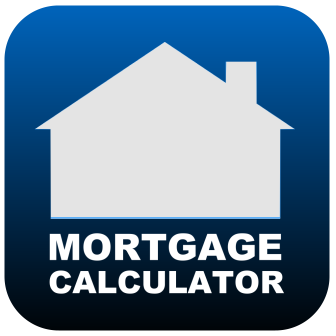 Get a free estimate on your house value and neighbourhood now by following here. 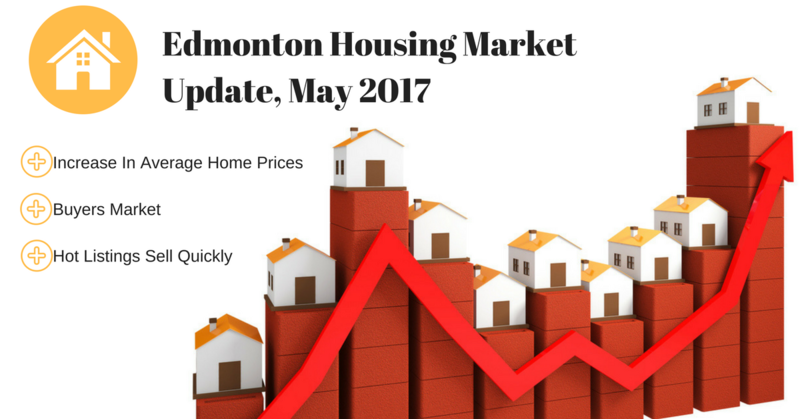 Edmonton's housing market has experienced an increase of average prices across all real estate categories. However, condos continue to have high competition between Sellers since there is more supply then then demand. Typically, this time of year the market is very active with buyers and those who like to sell. The good stuff sells quickly! 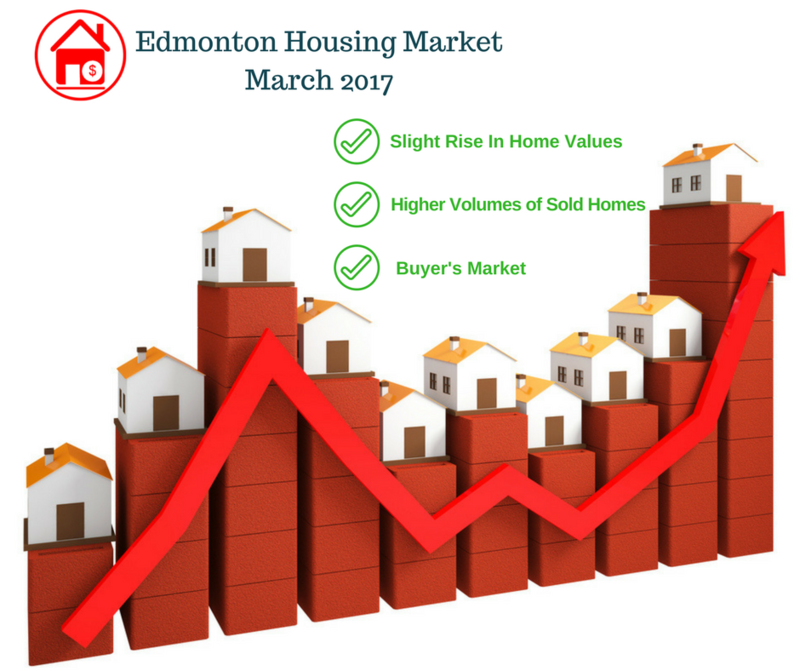 As of 28 February 2017, Edmonton Alberta has shown great signs of recovery for single family homes but not so much for condominiums and duplex homes. Housing inventory remains to be much higher then the number of home buyers. As a real estate agent with RE/MX River City, I am finding sales are much higher then 2016. I believe we will see an improved market this year for those who are selling. 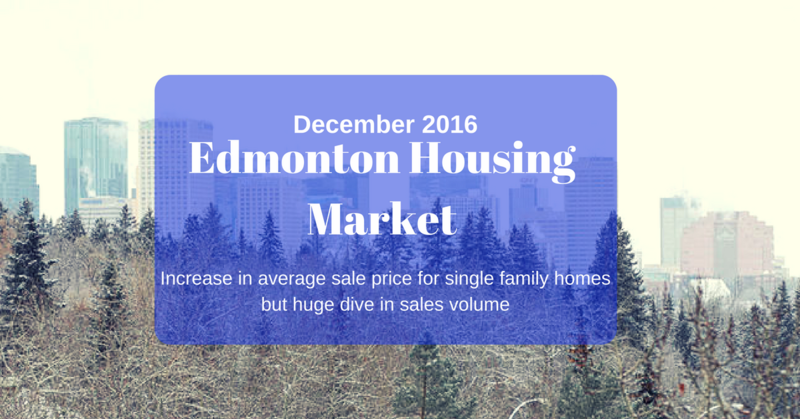 Here's the Edmonton housing market in December 2016. Single family homes have seen an increase in price but take on a huge dive in sales volume.